Portland’s Buckman Coffee Factory hosts public cuppings every week. Photo courtesy of Buckman Coffee Factory. For all the new brands of roasted coffee appearing over the past few years, it’s a wonder more cities aren’t awash in the grassy, bready, popcorny aromas of Maillard reactions progressing around every corner. With more coffee shops bringing roasting in-house as well, one has to question how so many small businesses can be making the massive capital investments necessary to enter the roasting game. They’re not. Not all of them, anyway. 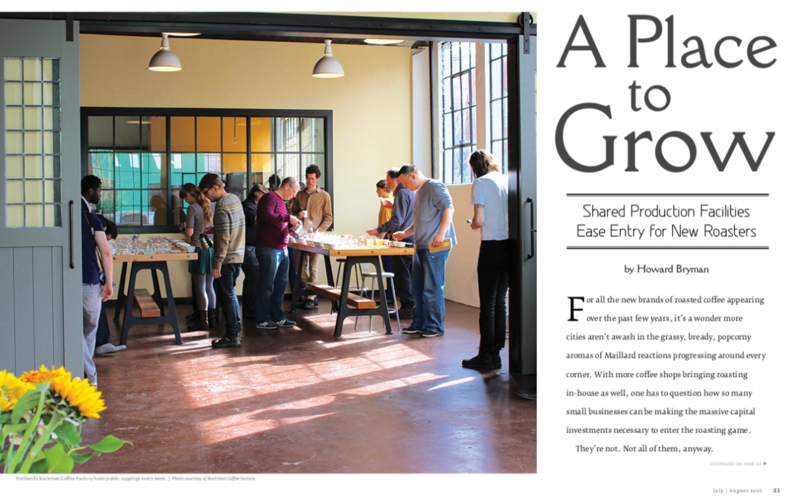 Dozens of new operations are circumventing the longstanding barriers to entry — the capital expense of equipment and space, the permitting rigmarole, gaining access to exceptional green coffee — thanks to the inspiring and steadily expanding phenomenon of shared roasting facilities. Ventures such as the Pulley Collective in Brooklyn, New York, the Buckman Coffee Factory in Portland, Oregon, and Bay Area CoRoasters (CoRo) in Berkeley, California, serve as incubator-like hubs that provide all the tools and resources necessary to break into roasting at a much more manageable cost. Jim Osborn, director of coffee for City of Saints in Brooklyn, drops a batch from the cooling tray. Photo by Lanny Huang. These new ventures go well beyond private label, toll roasting and traditional roaster-rental relationships, providing a comprehensive slate of services to nurture new roasting businesses. Access to machinery is only the beginning, though in many cases, the gear alone is indeed a huge draw. 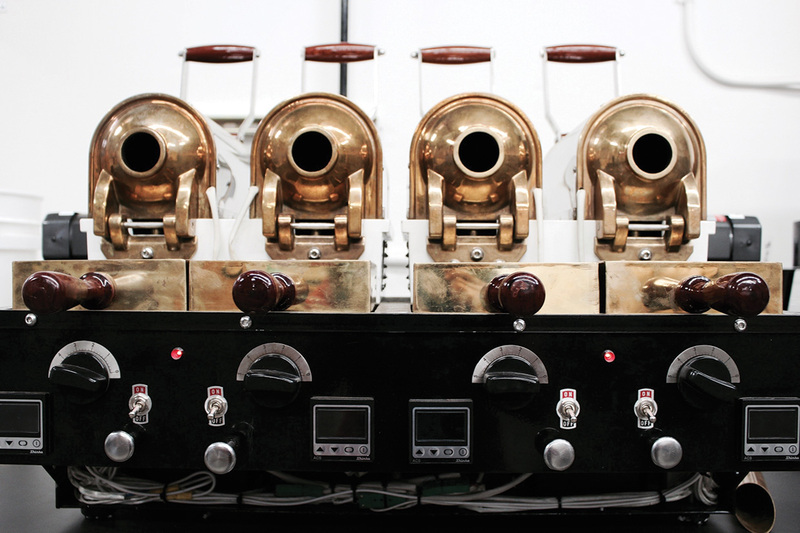 CoRo’s expansive arsenal of production and quality control equipment, for example, reads like a greedy kid’s letter to Coffee Klaus, with a Probat P5, a Loring S15 Falcon and S35 Kestrel, three sample roasters, Cropster integration, a cupping lab, weigh-and-fill equipment, heat sealers, shipping and receiving docks, plenty of pallet shelving for green coffee storage, a La Marzocco GB5, Mahlkönig grinders and more. While some shared roasting facilities call themselves “collectives,” these entrepreneurial springboards are actually for-profit businesses, privately owned and guided by their founders and directors. Roaster-share members pay for the services they receive, providing the revenue that keeps the drums turning. Facilities generally offer access by the hour or by regularly scheduled half- or full-day sessions. A monthly membership that includes one regularly scheduled six-hour roasting shift per week varies from about $1,000 to $3,500, depending on the location, equipment and additional services offered. 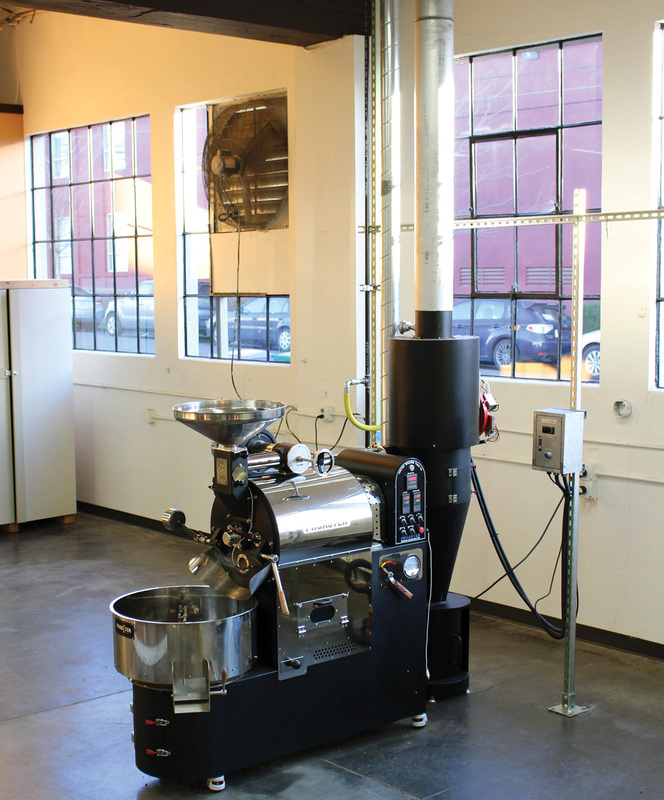 The 2,500-square-foot roasting area at Buckman Coffee Factory in Portland, Oregon, includes two Proaster roasting machines and a Joper sample roaster. Photo courtesy of Buckman Coffee Factory. Still, not all roaster-shares are cut from the same cloth or organized the same way. CoRo is the only one with a board of directors, for example. So while all provide similar services, what sets each apart — in addition to rates and specific equipment offerings — are the circumstances of its founding and the ancillary positions of its owners. Steve Mierisch, founder of Brooklyn’s Pulley Collective, which opened in July 2013, considers neutrality to be an important aspect of the roaster-share model. Another of Mierisch’s goals is to make roasting at Pulley at least as cost-effective as running one’s own roastery, if not more so. He figures the cost could break down to as little as 55 cents per pound for Pulley members. “It’s allowed us to start our own coffee roasting company without the large cash outlay it would take to build our own roasting facility,” says Ed Kaufmann, director of coffee for Joe Coffee Company, Pulley’s biggest and oldest client. Originally serving coffee roasted by Intelligentsia Coffee, in 2012 Joe started renting time on another company’s equipment to roast about 10 percent of the coffee served in the 11 retail locations it operated at the time. 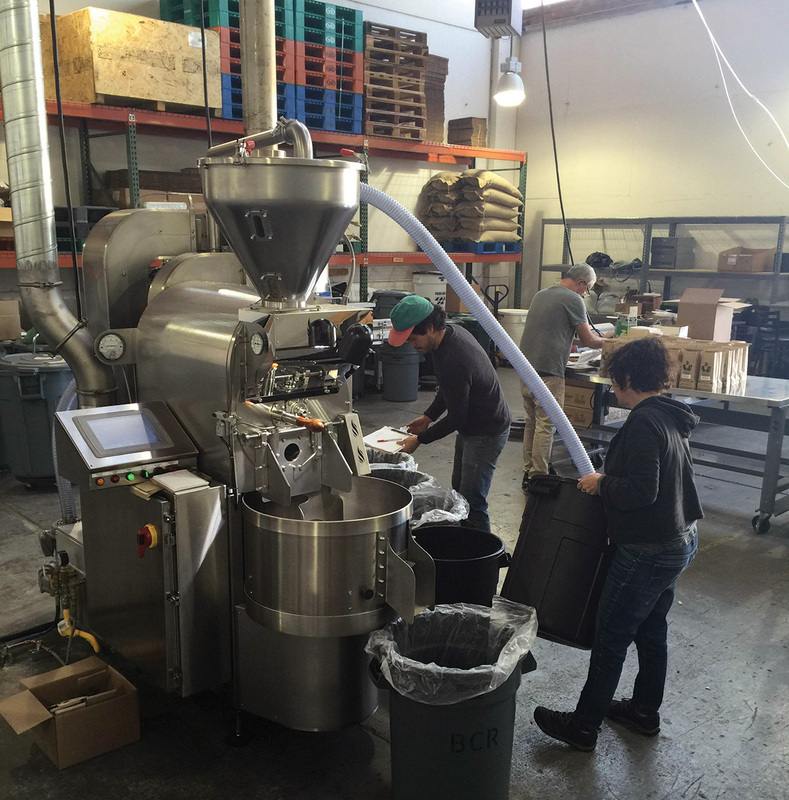 Since joining Pulley in 2013, the company has brought all its roasting in-house and has opened two more locations. 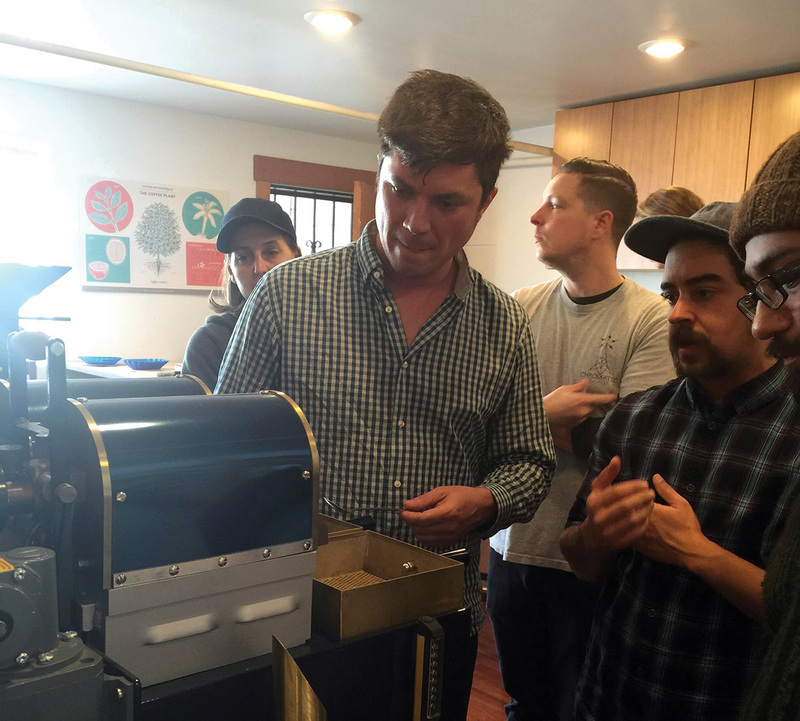 Gabriel Boscana of Bellwether Coffee shows participants how to use the Probat BRZ at Bay Area CoRoasters during a defect coffee cupping class. Photo by Dani Goot. For Mierisch, whose family runs coffee farms in Nicaragua, benefiting producers also is central to the co-roasting philosophy. By lowering the overhead costs of commercial coffee roasting and reducing the financial risks associated with entering the industry, he’s confident he’s creating a larger market for higher- priced, higher-quality microlot coffees. Pulley’s brick-lined, chandelier-illuminated Red Hook waterfront industrial space started off centered on a Diedrich IR-12. It has since upgraded to include a 35-kilo Loring Kestrel, a Probat UG-22, and other production, packaging and quality control equipment. The original Diedrich has been shipped to Oakland, California, where — in an industry first — it will anchor a second Pulley location just a few miles from CoRo. Not long ago, City of Saints Coffee Roasters was a member of the Pulley Collective. Now a freestanding roastery with a 70-kilo Loring S70 Peregrine and a spacious, conveniently located Flatbush warehouse of its own, the company also has entered the co-roasting game as it grows into its new space and equipment. The City of Saints co-roasting program, which constitutes only a small portion of the company’s overall revenues, includes training, consulting, green buying assistance, and trucking and warehousing services. Unlike Pulley, which offers group classes as a prerequisite to hands-on, one-on-one supervised roasting, City of Saints shies away from training absolute neophytes. Instead, owner Joe Palozzi offers toll roasting services, allowing novices to learn by observing their coffee being roasted. Palozzi reports that the roasters on his staff are currently training for the Q exam, and will be certified by Loring as soon as the manufacturer finalizes its certification requirements. Jim Osborn, director of coffee for City of Saints, mid-roast. Photo by Lanny Huang. Having first granted public access to its Probat L-12 about four and a half years ago, the Aspect Coffee Collective in Portland, Oregon, is the longest-running shared roasting facility currently operating. 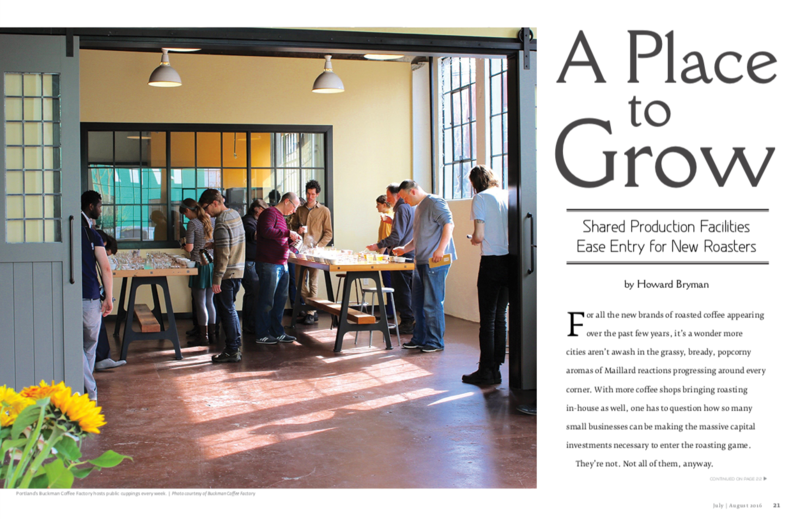 The project started in 2011 at Mr. Green Beans home-roasting supply store, which acquired the L-12 to support hobbyists who wanted greater volume and a more industrial-style learning experience. Word spread, and in 2015 Aspect officially became a separate business. While not as equipment-heavy as its Bay Area or northeastern counterparts, Aspect’s offerings cover the fundamentals and then some, with green coffee storage, light packaging equipment, and opportunities to cup and buy coffees presented by importers or growers. One of the first companies to take advantage of Aspect’s services, while it was still under the Mr. Green Beans umbrella, was Coco Donuts, where co-owner Ian Christopher had long desired to bring roasting in-house. Coco Donuts had two locations at the time and has since opened two more. Christopher also roasts at Aspect for the chic Portland coffee/cocktail bar Americano, a co-venture he opened in spring 2016. He believes the services Aspect delivers help him produce better coffee. He also appreciates the convenience of Aspect’s service model. Jim Osborn preps for a roast at City of Saints in Brooklyn. Photo by Lanny Huang. The seed for Bay Area CoRoasters (CoRo) was planted when a roasting company acquired a 35-kilo Loring Kestrel, but ended up needing it only one day per week. 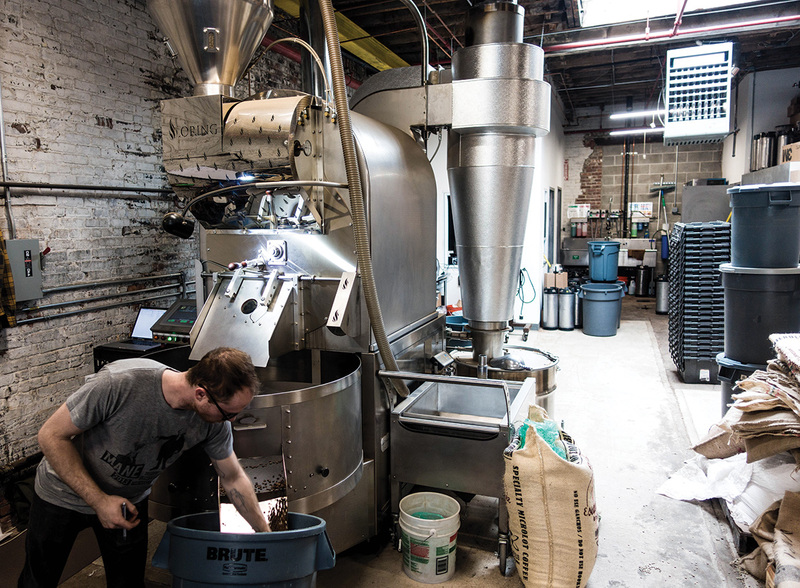 After research and analysis indicated a co-roasting facility might not only be a successful enterprise but also a valued contribution to the industry, the owners ceased commercial roasting and reinvented their business as a shared roasting hub. CoRo opened in September 2015 and gained its first five members within a month. Among those first members was the Alchemy Collective, a worker- owned coffee company based in Berkeley, California. Prior to joining CoRo, Alchemy was renting time on equipment owned by another local roasting company. After making the switch, Alchemy saw improvements in product consistency and overall efficiency, according to co-founder James Parrish. As far as the cost, Parrish adds, “They were really helpful. They found a rate that could work for us until we grew our business a little bit, and it was super reasonable.” CoRo operates with all required licenses and permits, carries insurance, and requires all of its members to carry their own insurance. To support one member that’s certified organic, CoRo implemented organic cleaning and operational procedures. 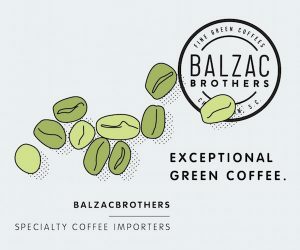 The organization also maintains a commission- free green coffee sample station, where importers and growers’ representatives can leave samples for members to roast and cup on their own. Judy Krasnick and Jorge Garcia of San Francisco’s Nomadic Ground roast on the Loring Falcon at Bay Area CoRoasters in Berkeley, California. Photo by Dani Goot. Based on strong attendance at events hosted at CoRo, the frequency of tours and information sessions, and the enthusiasm with which the coffee and food communities have embraced the venture, co-owner Andrews thinks the market is ripe for more roaster-shares, and she welcomes the growth of the sector. 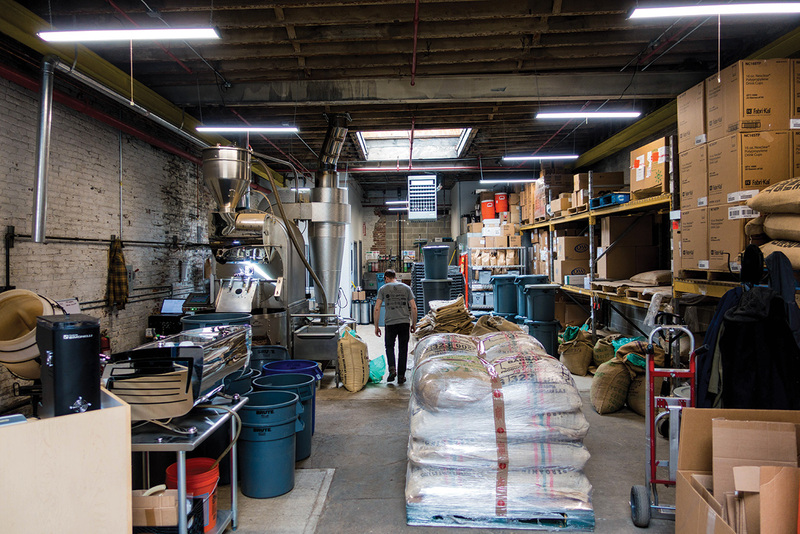 While the Brooklyn facilities cater almost entirely to coffee shops bringing roasting in-house, the Portland roaster-share scene is more of a split between cafes and aspiring wholesalers. Buckman Coffee Factory, which went live in January 2016, has attracted mostly whole-bean retail and wholesale startups, which doesn’t surprise co-founder Joey Gleason. Gleason co-owns Buckman Coffee Factory with her sister, Cassy. The two also have owned a small-batch Portland roastery and cafe called Marigold Coffee for the past six years. Now all their roasting efforts fall under the purview of Buckman. OurCoffees, based in Walnut Creek, California, hosts a community cupping at Bay Area CoRoasters. Photo by Dani Goot. Marigold began roasting in the new facility in August 2015, serving as a guinea pig to put the equipment and infrastructure through its paces before inviting others in with the new year. Now Buckman, as an entity unto itself, strives to support as many roasters as possible, with enough square footage to accommodate future expansion. So while Buckman, like City of Saints, is helmed by people who also roast commercially, they nevertheless consider the Factory to be as neutral a space as possible. One-quarter of Buckman’s 8,000-square-foot space is devoted to the roasting room, which houses two Proasters (a 1.5-kilo and a 10-kilo) and a four-barrel Joper sample roaster. 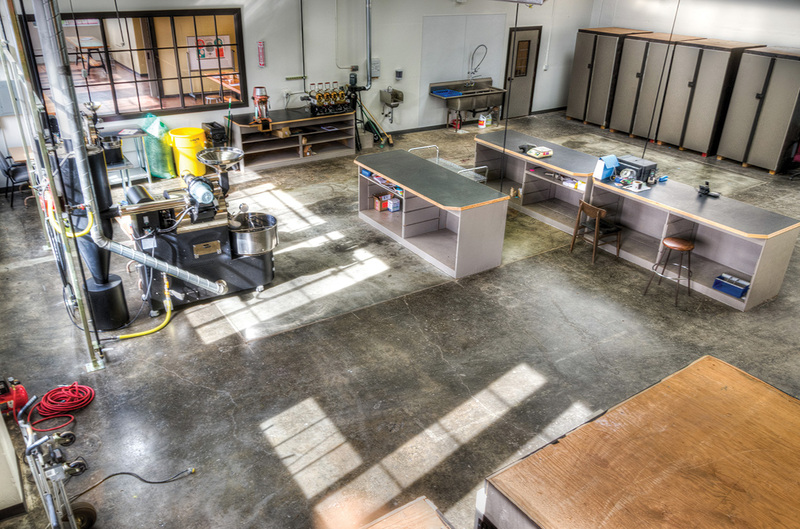 Another quarter houses the cupping and demonstration lab, and the remaining half is occupied by lockable green coffee storage. 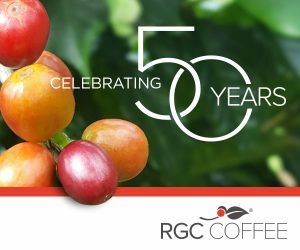 The facility is licensed by the Oregon Department of Agriculture for the manufacturing and production of coffee, and the company is insured for all of its equipment and all green coffee stored in its warehouse. Prospective members are required to attend a two-hour, one-on-one safety and equipment overview that includes a supervised roasting session, to make sure they’re comfortable with the equipment, and ongoing one-on-one training by experienced roasters is available. In addition, a Buckman staffer is always onsite to assist new roasters—a precaution practiced by all co-roasting facilities. 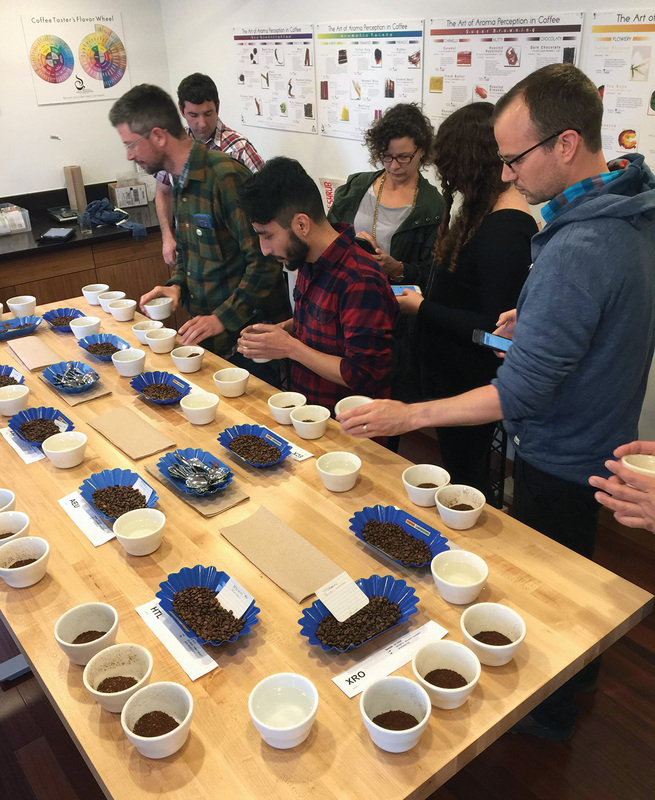 Buckman also hosts frequent cuppings, both educational and professional, and occasional presentations for its members and the larger coffee community. Gleason hopes Buckman’s all-inclusiveness will make it not just a place of business, but a coffee community center, providing space and opportunities for networking and camaraderie. The four-barrel Joper sample roaster at Portland’s Buckman Coffee Factory. Photo courtesy of Buckman Coffee. As flexible and multifaceted as these organizations strive to be, the shared roasting phenomenon is not without its limitations. For one thing, there are constraints on both ends of the growth chart. Some facilities — such as City of Saints, with its lone 70-kilo Loring — don’t offer equipment suitable for roasting small amounts, which can be an obstacle for new roasters. 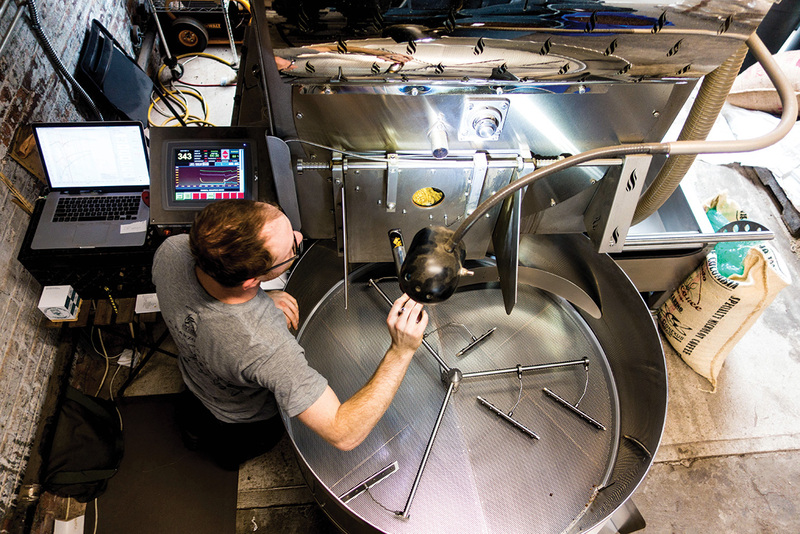 Conversely, while machine size generally isn’t an issue for larger roasting companies, time constraints may be. “You have a slot in which to roast all the coffee you need for whatever time period,” Palozzi says. “If roasted inventory is needed between roast periods, you would have no way of fulfilling it.” Holidays can create scheduling challenges, too, he adds, and the ergonomics of the roastery are not necessarily adaptable to personal preferences. While shared roasting facilities can be an ideal stepping stone in the financial run-up to going solo, the financial pressure of paying extra for additional time on the roaster, along with limitations on green coffee storage, could be an impediment to experimentation, adds Pete Licata, founder of Licata Coffee Consulting and the consumer-facing roasted coffee rating system Roast Ratings. In business, risk is not necessarily a bad thing. By reducing a significant portion of the financial risk involved in starting a roasting business, shared roasting operations could be inviting complications by expediting access to the market for roasters who might be less than 100 percent invested in their own success. “Roasting is a big endeavor that you must be dedicated to in order to find your returns,” says Licata. Should a scenario play out in which the shared roastery trend explodes nationwide and leads to a bubble of micro-roasting upstarts, Licata adds, it also could put strains on the spot coffee market — coffees stocked by importers in U.S. warehouses for immediate delivery to roasters — resulting in lower-quality offerings throughout. “Importers will fill more spot offerings, but there are only so many truly high-quality offerings in this market, and with more people raising the demand, there will be more and more average coffees being sold as high-end products,” he says. “Roasting is a craft,” Licata notes. “It takes time, patience, intuition and experience to not only roast great coffee, but do it consistently. The 10-kilo Proaster available for rent at Buckman Coffee Factory. Photo courtesy of Buckman Coffee Factory. It’s important to note that roasting companies using shared roasting facilities are responsible for their own product insurance as they approach commercial volume, and for complying with all applicable Food and Drug Administration (FDA) regulations. And while the convenience provided by these shared facilities might be characterized as a shortcut, when it comes to food safety, shortcuts should be avoided at all costs. 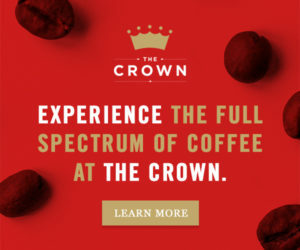 “There are all kinds of potential issues,” says Mike Ebert, founder of Firedancer Coffee Consultants and a Specialty Coffee Association of America subject matter expert in the field of coffee business. Ebert notes that while existing standards set forth in the Food Safety Modernization Act might be easy to follow when it comes to coffee roasting, a new round of “food defense” rules are currently being written to address the dangers of intentional adulteration of food, and these rules could make compliance more complicated, particularly in a shared facility. Similarly, concerns over equipment maintenance could affect the long-term viability of a shared roastery. Given the propensity of non-owners to be less vigilant about proper equipment operation and maintenance than the owners would be, Ebert questions whether even a rigorous maintenance program can keep up with the wear. 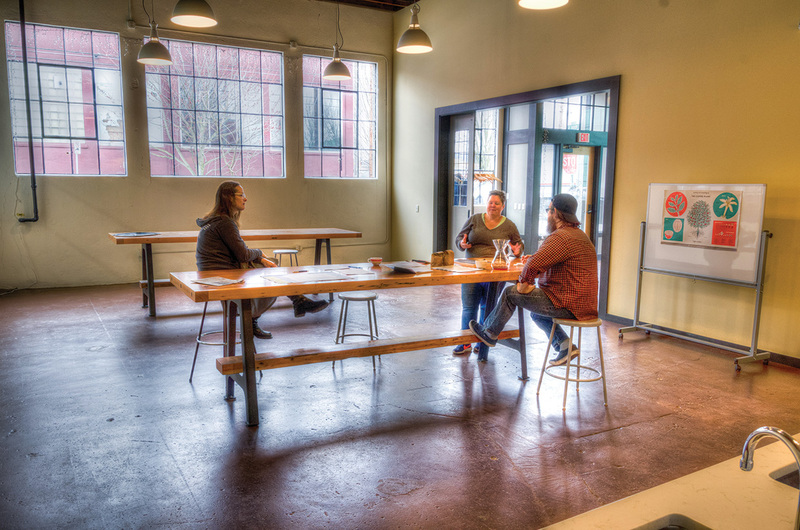 At Buckman Coffee Factory in Portland, Oregon, members can rent a cupping room for meetings, trainings, events and, of course, cuppings. Photo courtesy of Buckman Coffee Factory. It’s clear there are pros and cons related to participating in a shared roasting program, but the greatest advantage could be the opportunity to collaborate with a larger roasting community. People new to the industry benefit hugely from the support of their peers and the wisdom of more experienced colleagues, while old pros are better able to address new challenges by sharing perspectives. Still, roasters and shop owners are busy people. Once a production routine is established, a company’s most experienced roasters may never come in to roast at all, which is where cuppings and events become almost as important as the equipment and other resources these businesses provide. As an example, Andrews cites CoRo’s Cropster account, which is available for all members to record and share roasting profiles. Those who prefer not to be so open are welcome to purchase private accounts. 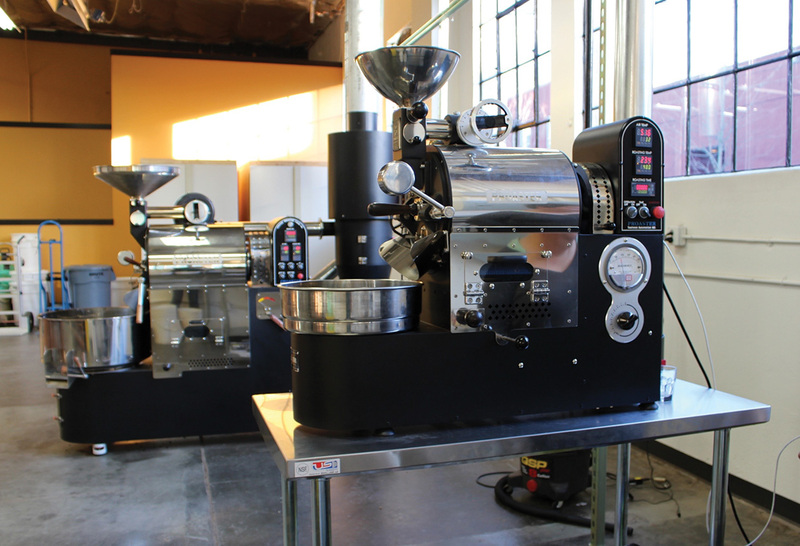 Two Proaster roasting machines—a 10-kilo and a 1.5-kilo model—are available for rent at Buckman Coffee Factory in Portland, Oregon. Photo courtesy of Buckman Coffee Factory. In an interesting show of regional differences, while West Coasters are most eager to celebrate opportunities for collaboration and togetherness, the New Yorkers are just as quick to emphasize their sensitivity to members’ preferences for privacy and discretion. In fact, Mierisch considers privacy and autonomy to be central to Pulley’s services. Pulley has staff members on hand to coach newer roasters, which to some extent diminishes the need for outreach between companies, although that’s not to say it never happens, even among the biggest and most experienced. 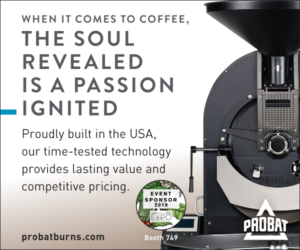 Currently, there are at least seven shared roasting facilities in the United States: two in New York, two in Oregon, two in California (with a third in California opening soon), and one — The Lab Tampa — that opened in Florida in May. Internationally, roaster-shares in Tokyo, Moscow, Melbourne and Paris are helping to expand the specialty coffee community. Greetings from CURAD http://www.curadincubator.org, Kampala, Uganda East Africa. At CURAD we are an agribusiness incubator that promotes innovations and entrepreneurship along the coffee value chain. I am inspired by this story. We have run a common user coffee roasting facility with all added grinding packaging and cupping facilities over the last 5 years. Over 15 new specialty coffee brands are being produced here and consumed locally but also exported to Europe and Asia. This include such special coffees such as High Gorilla coffees from Mt Rwenzori and Elgon coffees from mt Elgon. We would like to share experiences in managing and running a profitable shared coffee roasting facility as well as interest in practical cross learning from Bay area Co roasters among other. Uganda is BIG in coffee, we would appreciate partnerships and tie ups as we create jobs for Young people and markets for rural farmers in Uganda and opening new markets. We have a big commercial green bean export center too.